In the midst of LP Administration’s Black Propaganda scheme against Mayor Duterte, ex Supreme Court Chief Justice Renato Corona passed away this morning due to Cardiac Arrest. 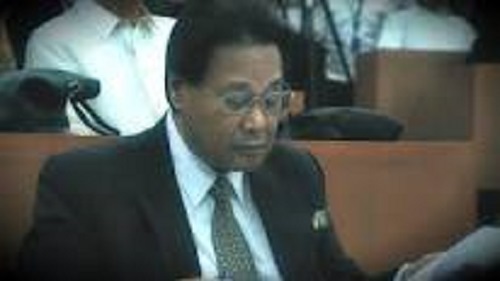 He too, like Vice President Jejomar Binay was a victim of Pnoy’s way of bullying political opponents. Many lives, families and relationships turned sour because of these unfounded allegations. Why can’t they publicize the verdict when the trial is over? Why use the media to escalate rumors this early? The answer is very simple; the culprits are just after destroying the reputation of their political opponent to minimize their chances of winning in the upcoming election. Now that Mayor Duterte got the taste of Binay’s corruption allegations thrown at him by the administration using Senator Trillanes, will he honor the original alliance he had with the V.P.? This is getting very interesting. Don’t you think?